No pens will be available, except 4H-FFA animals. All animals must be on the grounds and checked in no later than 9 AM. 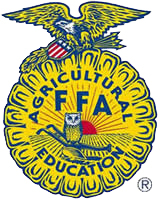 $2.00 per animal, limited to Union County 4H and the following FFA Chapters: Lewisburg, Mifflinburg and Milton. $4.00 per animal, all others. No entry fee for group classes. LATE ENTRY FEE: $8.00 per animal; late entries will only be accepted to make a breed official. Payment is due with entry form and must be postmarked by July 1. American Dairy Goat Association rules shall govern the conduct of the show. Only American Dairy Goat Association, American Goat Society and Canadian Goat Society registered and recorded animals may be shown in official American Dairy Goat Association shows. Original registration papers must accompany animals over 6 months of age. No pending papers or substitutions will be approved. Original registration certificate or duplicate application stamped by the ADGA office is required for all animals under 6 months of age. Lease form must be on file with the ADGA; a copy must accompany each leased animal. The base date for computing age of animals shall be the date of the show. Only Does entered in age classes may be shown in group classes. All animals must have an official legible breed registration tattoo. Junior and Senior shows are not separately sanctioned. Substitutions are allowed within the breed. Official health certificate issued by accredited veterinarian shall accompany all goats. All health certificates will be checked. There is no limit in individual classes. Group classes are limited to 2 per exhibitor. There will be no changes to the printed show order. 10 11 20 Bred and Owned Best 3 Females, 3 Does.